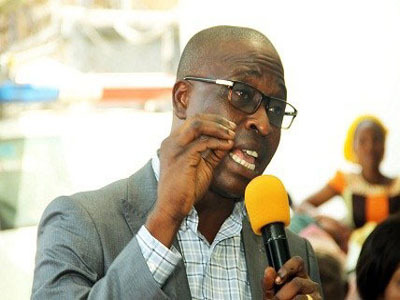 THE All Progressives Congress (APC) candidate for Lagos State House of Assembly Alimosho Constituency 02, Mr. Kehinde Joseph, has assured Lagosians that they will not regret voting for the ruling party in the coming elections. Addressing reporters at the APC flag off campaign in Alimosho recently, he said the APC has become a winning team in Lagos, because the state has witnessed remarkable development under the successive administrations of the party. Joseph said a good coach would not temper with such a team, because, according to him, Lagosians have never had it so good. He said all the candidates contesting on the platform of the party have what it takes to deliver on their promises. He said: â€œWe have our Senator Adeola Olamilekan, Oluwafemi Adebanjo and Bisi Yusuf present at this flag off campaign. We are tested party men and have passion to render service to the people. Joseph described the fracas at the APC rally in Ikeja as unfortunate, noting the adequate security have been put in place to forestall future occurrence. He said: â€œWhat happened has nothing to do with our party; there is no link. It was simply the problem of the union who were trying to settle scores. The APC is a party of peace and harmony that is what we have been preaching. For instance, the Vice President, Prof. Yemi Osinbajo, has been moving from house-to-house campaigning, and there have been no security challenges. â€œThe people have always voted APC and that is what we expect them to do. The APC Alimosho has promised to deliver 500,000 votes. We are not relenting on the promise made and we are determined to deliver on what we promised. It is only APC that exist in Alimosho, other parties do not exist.